Like all of our best innovations, we created the Global Imaging Workflow Studio to fill a gap we found many of our clients struggling with. How could they make the best decision about cutting-edge products without seeing them in action first? Not only that, they should be able to see how they function in a live production environment. Selecting the right grand format equipment requires significant investment and there was nowhere to see it all working together. Once we recognized this need, we put our heads together and in 2012 our Workflow Studio wide format demo facility was born. 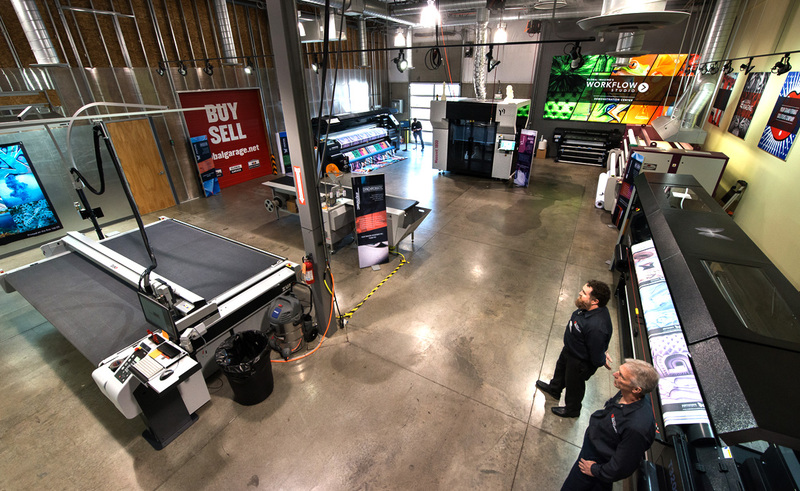 Originally it housed an HP latex and an HP FB500 UV flatbed, Zünd cutter, Klieverick calender, Novus Synergia flatbed, and a Miller Weldmaster welding machine. 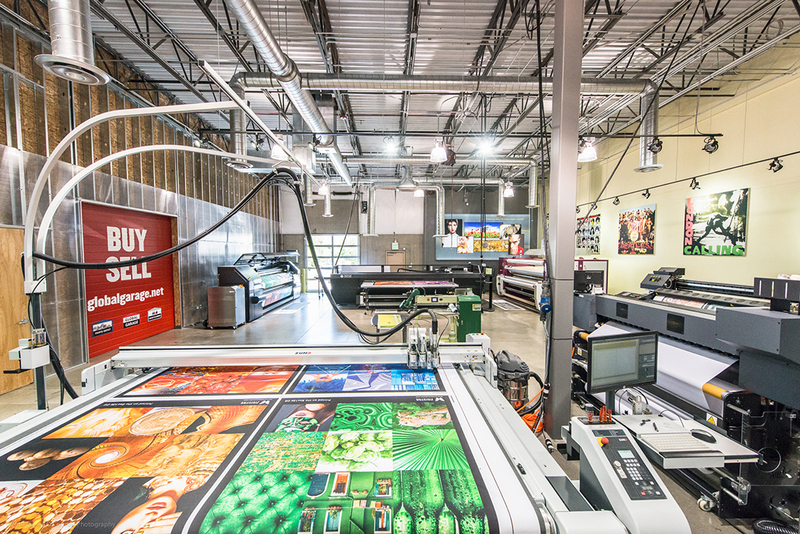 Today, our 6,500-square-foot Workflow Studio features equipment from most of our product portfolio. Currently we are running three fabric printers: the PrinterEvolution Evo33, T3200 and D3200; a Monti Antonio transfer calender; Zünd G3; Barbieri Spectrophotometer; Caldera RIP and Automation Software; and Aleyant tFLOW. We are very excited to announce our latest addition, the Massivit 1800 3D printer, the first of its kind to be installed in North America! We unveiled this device during our March VIP Event. It will be available for demonstration throughout the year and regularly featured during our quarterly VIP Events. Come to Colorado any time throughout the year and put these devices through their paces, or join a select group of about 30 customers and prospects for one of our VIP Events. These events offer the opportunity to see all of the equipment and meet all of the manufacturer representatives in a busy, 24-hour event. VIP Events include information on the technical and market aspects of our devices, as well as one-on-one time with vendors and demonstrations on each piece of equipment – an experience you can’t get anywhere else. You can also book a private demo. Contact us anytime to request an invitation to our next event.